Shiina Aki is constantly being treated like a girl due to his feminine looks so he decides to move to Tokyo and attend middle school in an attempt to change himself. 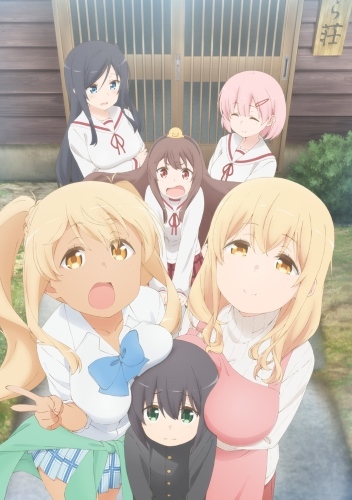 However what awaits him in his new home, Sunohara-sou, is the kind-hearted caretaker, Sunohara Ayaka and three female members of Aki’s new middle school’s student council, named Yukimoto Yuzu, Yamanashi Sumire, and Kazami Yuri. And so begins Aki’s new life of living with four girls in Tokyo.